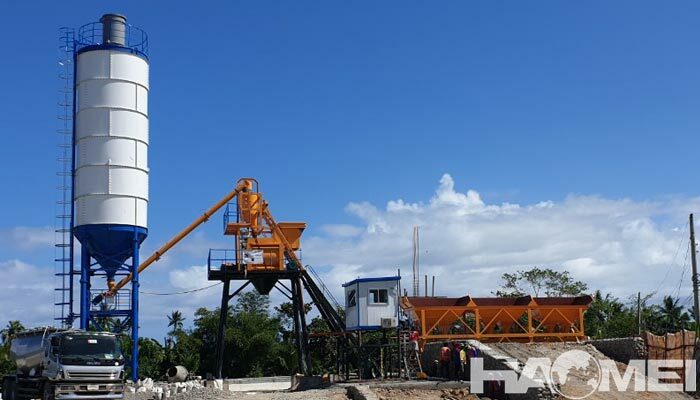 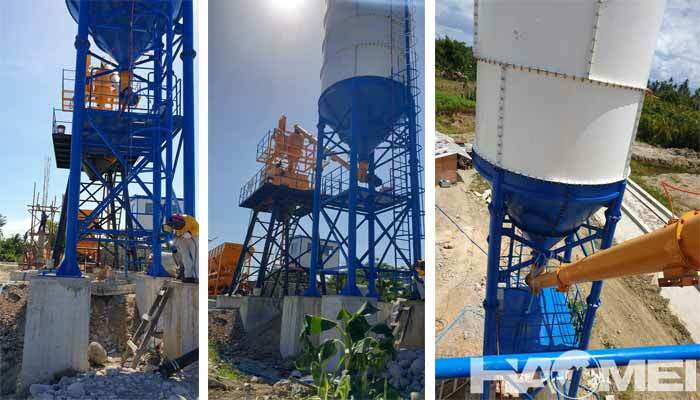 On 12th, Marth 2019, the “Tree Planting Day” in China, Haomei HZS50 stationary concrete batching plant was installed and debugged in the Philippines. 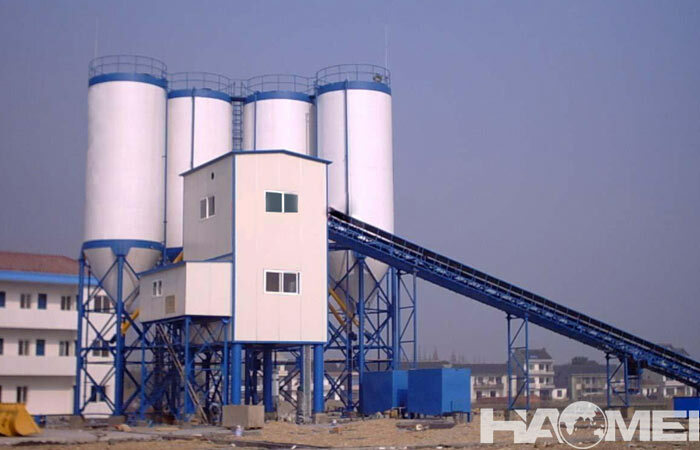 HZS50 concrete batching plant is a popular model in HZS series stationary concrete batching plants, it belongs to the small and medium model, so it is welcomed on the market, which has the characteristics of stable performance, high production efficiency, high automatic degree, simple operation, long service life, easy maintenance, etc. 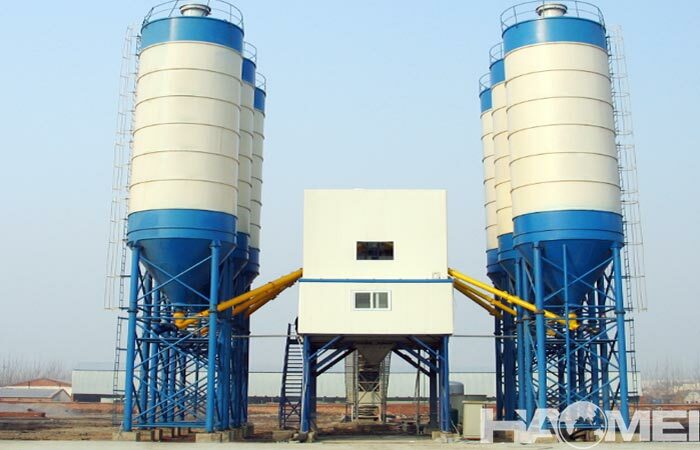 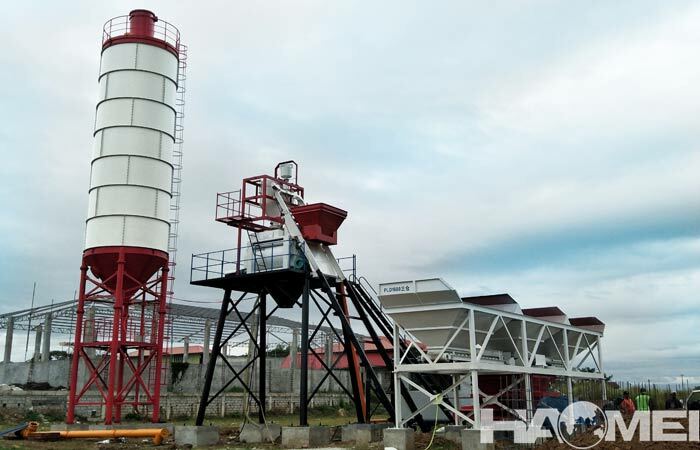 The constituent part of a concrete batching plant include JS concrete mixer machine with skip hopper, the PLD concrete batching machine, the screw conveyor, the cement silos, the weighing system and control room. 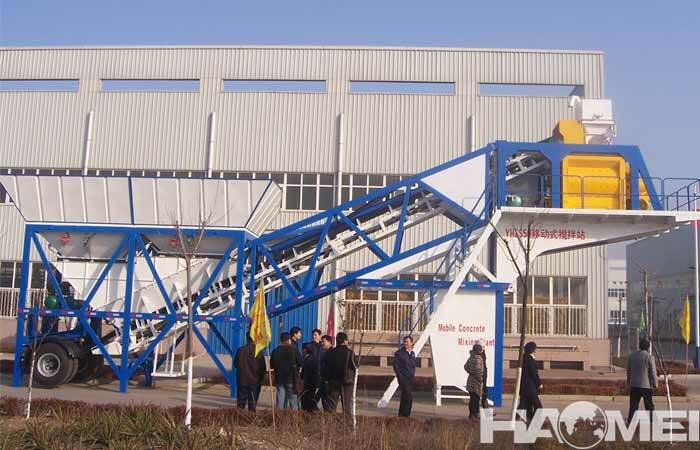 The configuration of HZS series concrete batching plant can be customized. 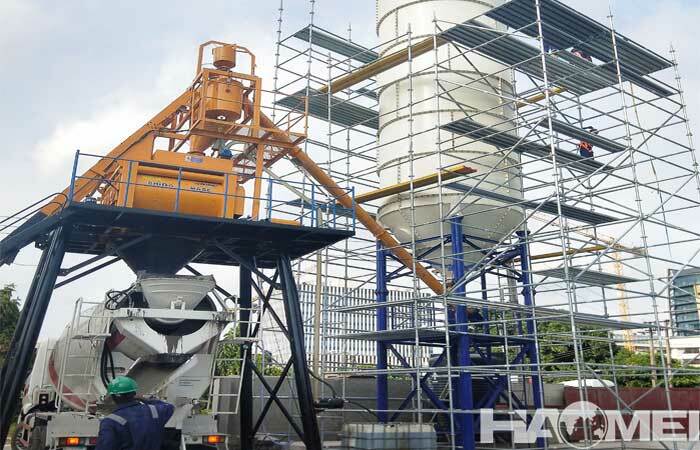 After our engineers helps to install and debug the stationary concrete batch mix plant, the operator start the machine to test running, the HZS50 stationary concrete batching plant has already smoothly worked there.